徐增波, 刘保金, 姬计法, 等. 太行山南端浅层速度结构成像和隐伏断裂探测[J]. 大地测量与地球动力学, 2019, 39(1): 88-92. XU Zengbo, LIU Baojin, JI Jifa, et al. 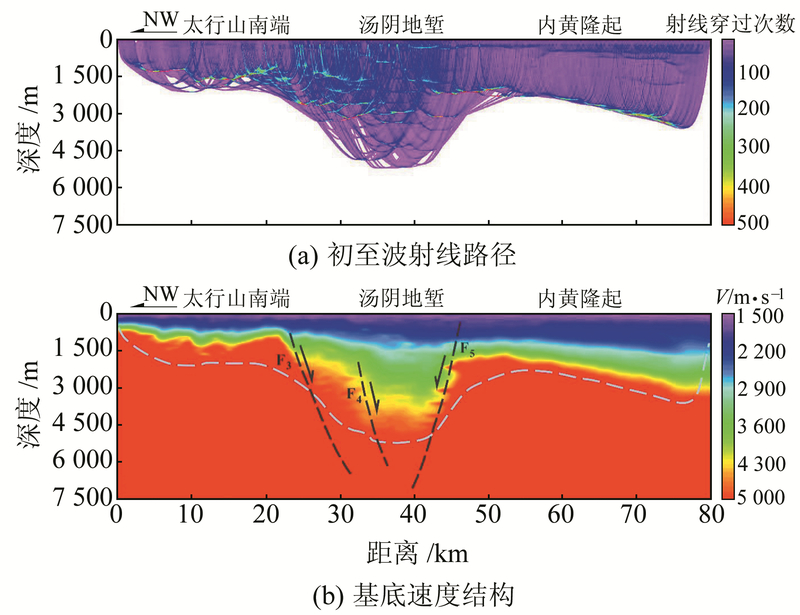 Imaging for Shallow Velocity Structure and Buried Faults in the Southern Margin of Taihang Mountains[J]. Journal of Geodesy and Geodynamics, 2019, 39(1): 88-92. National Natural Science Foundation of China, No. 41374100, 91214205;Special Fund for Earthquake Research of CEA, No.201408023. LIU Baojin, researcher, majors in exploration geophysics and seismology, E-mail: LBJ001@126.com. XU Zengbo, postgraduate, majors in seismic exploration techniques, E-mail: 707265905@qq.com. Foundation support: National Natural Science Foundation of China, No. 41374100, 91214205;Special Fund for Earthquake Research of CEA, No.201408023. About the first author: XU Zengbo, postgraduate, majors in seismic exploration techniques, E-mail: 707265905@qq.com. 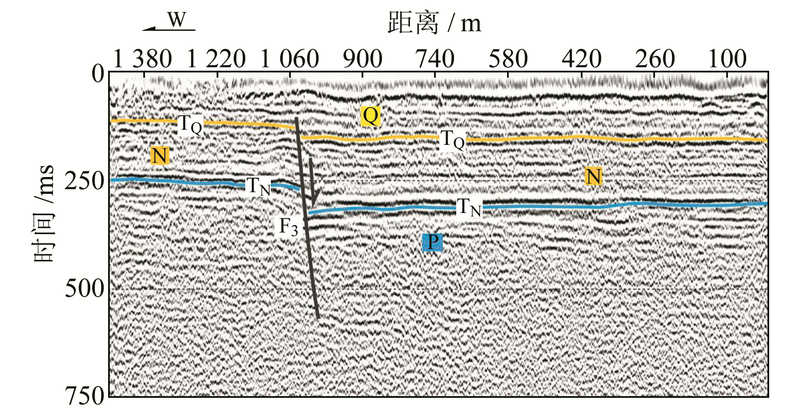 Corresponding author: LIU Baojin, researcher, majors in exploration geophysics and seismology, E-mail: LBJ001@126.com. 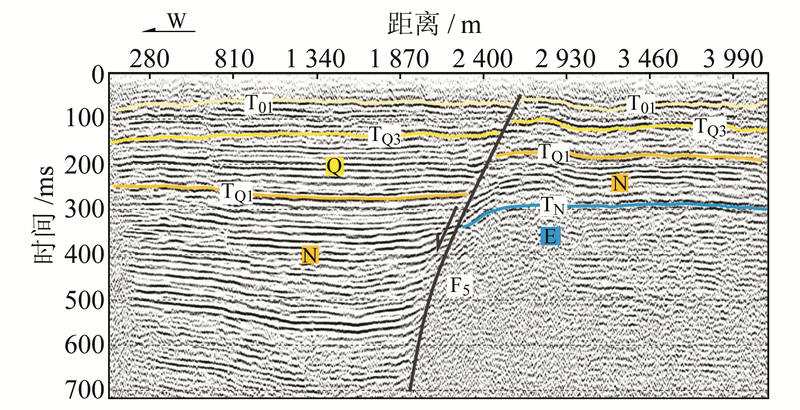 Abstract: We apply a tomography method of first-arrival travel-time acquired from deep seismic reflection profile to explore the shallow P-wave velocity structure and the basement distributed shape of the southern margin of Taihang mountains. The results indicate a good corresponding relationship among the variations in P-wave velocity, the thickness of sedimentary cover, and the position of the faults. In order to probe the characteristics of active faults in the research area, two shallow seismic reflection profiles crossing the buried faults are carried out. 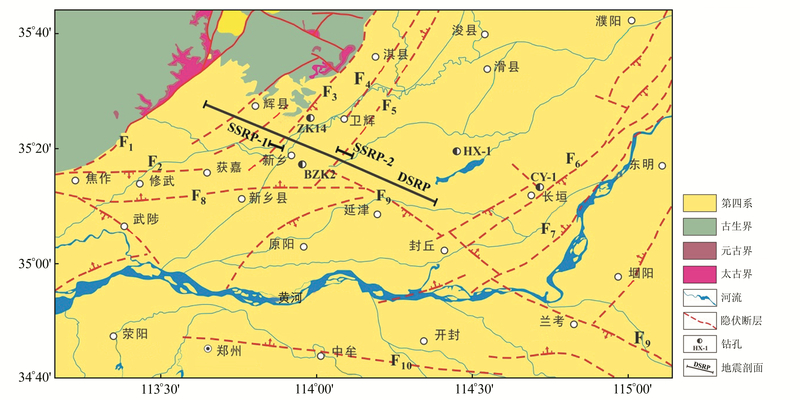 The results show that Tangxi fault is a normal fault plunging towards the east, controlling the western boundary of the Tangyin graben. It is active during the middle Pleistocene. Tangdong fault is a west dipping fault, and is the main controlling boundary fault of the Tangyin graben. The latest activities can be traced to the early period of late Pleistocene.